We join the end of the main service, and all children are encouraged to lead the Motzi prayer over the challah for the congregation. This youth service provides an opportunity for children to take on leadership roles, including leading prayers, reading Torah, and sharing their learning about the weekly Torah portion. Families with children of all ages are encouraged to attend our main service in the Sanctuary. We have a rug with toys and books for young children in the Sanctuary. Shabbat, 10/13/18: We'll learn about the story of Noah and the ark, and The Nature of Things will visit with live animals to teach us about caring for animals. Participating in Shabbat morning services is a great opportunity to build and strengthen your connections to the BAS community. BAS children enrolled in Torah La'am (our education program) will practice their Torah readings for their grade level Shabbat in class. BAS children not enrolled in Torah La'am can practice their Torah readings at home or with a teen madrich/a (guide) on Sundays. Contact Education Director Abby Reiken for more information. 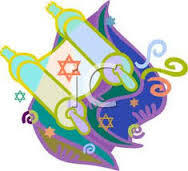 2nd grade: 1/19/19--2nd graders will share what they have learned about parashat Beshalach. 4th grade: 12/15/18, 5/18/19--4th graders will read Torah. 5th grade: 11/10/18, 5/11/19--5th graders will read Torah. 6th grade: 10/27/18 (with their 3rd grade chaverim), 5/4/19--6th graders will read Torah both of these dates. Contact your child's friends or their Chaverim (Torah La'am buddies) to attend Shabbat services together!